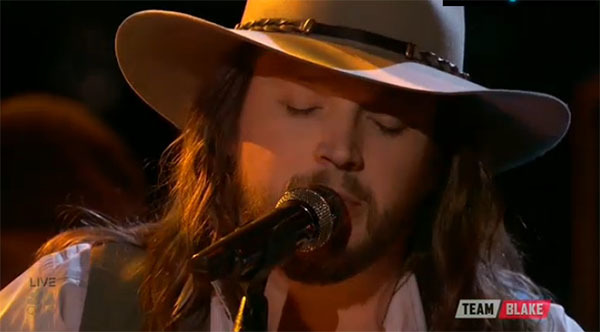 Adam Wakefield from Team Blake sings original song called “Lonesome, Broken And Blue” on The Voice Season 10 Finale Top 4 live performance show on Monday, May 23, 2016. “Congrats, It felt good. I love the fact that you have so much vocal pallet in your personality, said Pharrell Williams. “I was not sure if the audience was a bad clapper, it scared me. But you did an amazing job. That is one of the coolest thing on the show,” said Adam Levine. “I’m so blown away. The first verse of the song is brilliant, that is just so good. That song makes me feel happy,” said Blake Shelton. Did you like Adam Wakefield’s original song? Share your thoughts and views on the comment section below.